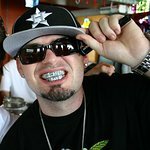 Paul Wall is an American Rapper, active in raising awareness of the effects blood diamonds have on poverty-stricken areas. Paul visited Sierra Leone with the United Nations and VH1 to learn more about the situation there, and was distressed by poverty and despair he saw. Google trends for "Paul Wall"
We don't have any videos related to Paul Wall.